Representatives from 40 international organizations and academic institutions will convene on Thursday, November 17, at the community wide Los Angeles Israel Gap year Fair. Public and private school students and parents can explore the latest information on a variety of academic and experiential Jewish learning opportunities available in Israel for their Gap Year. The free event will be held at the Bnai David Judea, 8906 West Pico Blvd, Los Angeles, from 6:30 to 9:30 pm. Advance registration is available on facebook@IsraelGapYear. Advance registrants are eligible to qualify for a travel prize. The 2016 Fair offers students even more options to choose from than last-year’s event, which broke all previous attendance records. Programs to be offered include internships, vocational training, college credit, ulpan, specific ways to make a smooth transition to Israel army service, and more. Opportunities are available in co-ed, boys-only, and girls-only environments and at every academic and religious comfort level. UCLA, CSUN, ORT, AJU, Touro LA and YU are among the growing list of colleges who will be on hand to discuss the extensive variety of opportunities available to students after the Israel Gap Year experience and how to achieve a smooth transition from Gap year to college life. The Fair is the cornerstone event of the American Israel Gap Year Association, a non-profit organization dedicated to increasing awareness of the benefits of the Israel Gap year experience. The event provides an opportunity to introduce the academic conversation early in a student’s high school career, so they can plan ahead. Director of Academic Affairs at the Israeli Consulate office provide a welcome address and Stand with US Director of Campus Life, Ron Krudo will be a special keynote speaker, discussing the positive impact of an Israel Gap Year on a student’s college experience..
Gap Year Students will also be on hand to share stories from their own transformative experiences. The LA Israel Gap Year Fair continues to be sponsored by Masa Israel Journey and endorsed by the American GAP Association. 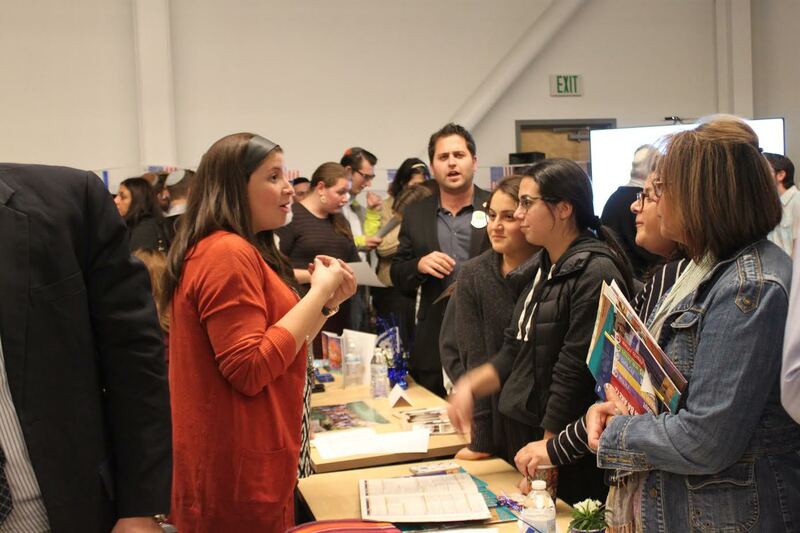 Cross-denominational support from the Jewish community’s six Los Angeles area Jewish High Schools speaks to the importance of the event and the concept of the gap year being an integral part of the post-secondary experience. Milken Community School and De Toledo High School are joining longtime event sponsors YULA Boys and Girls High Schools, Valley Torah, Harkham Gaon Academy, and Shalhevet. Synagogue sponsors include host B’nai David-Judea, as well as Beth Jacob, Young Israel Century City, Beverly Hills Synagogue and Westwood Kehilla. More than 60% of the students attend an Israel Gap Year after attending the Fair. Many of them chose a program different from previously suggested, based on the personal connection to a program they acquire at the Fair.